We are now only days away from LAFFCON3! Will you be joining us? Registration is still open. We have freshly printed and lavishly illustrated program booklets, free for all who attend, and all new one-of-a-kind Lafferty swag. Andrew Mass is producing a documentary on the life and work of author R.A. Lafferty. 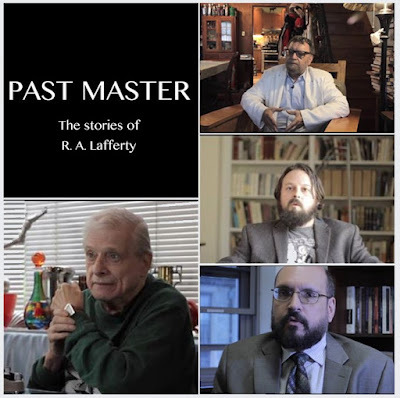 At LAFFCON this year he will screen 30 minutes of footage, which includes interviews with Harlan Ellison, Michael Swanwick, Andrew Ferguson, and Gregorio Montejo. Andrew last joined us at LAFFCON1 where he screened a much shorter teaser reel and left us all begging for more.